Medium penetrating warmth. Long-lasting petrolatum base. 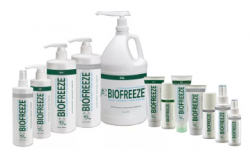 Biofreeze Professional -The #1 clinically recommended topical pain reliever found in athletic training rooms, on sidelines, and in gym bags for over 25 years. Mild penetrating warmth. 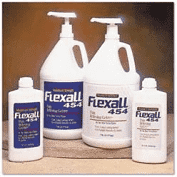 Long-lasting petrolatum base. 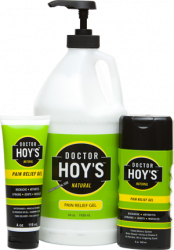 Dr Hoys Natural pain relief gel offers fast and effective muscle relief.